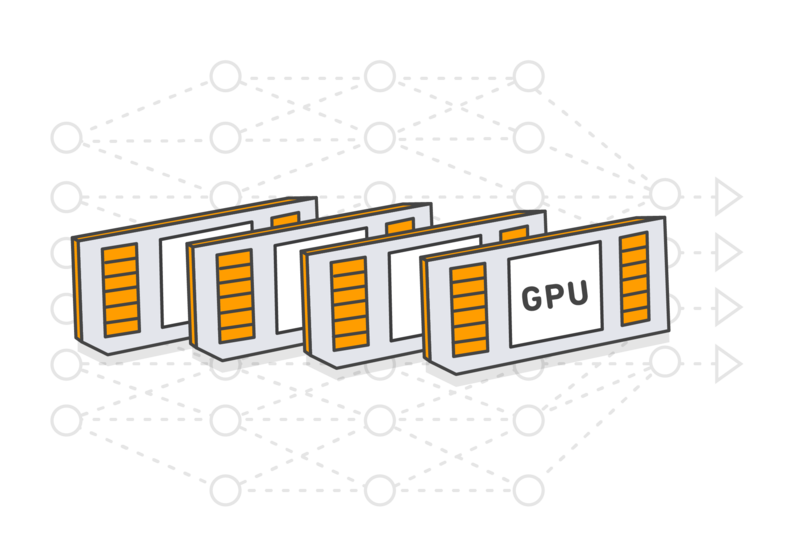 Amazon EC2 P2 Instances are powerful, scalable instances that provide GPU-based parallel compute capabilities. For customers with graphics requirements, see G2 instances for more information. P2 instances, designed for general-purpose GPU compute applications using CUDA and OpenCL, are ideally suited for machine learning, high performance databases, computational fluid dynamics, computational finance, seismic analysis, molecular modeling, genomics, rendering, and other server-side workloads requiring massive parallel floating point processing power. Use the Amazon Linux AMI, pre-installed with popular deep learning frameworks such as Caffe and Mxnet, so you can get started quickly. You can also use the NVIDIA AMI with GPU driver and CUDA toolkit pre-installed for rapid onboarding. Cluster P2 instances in a scale-out fashion with Amazon EC2 ENA-based Enhanced Networking, so you can run high-performance, low-latency compute grid. P2 is well-suited for distributed deep learning frameworks, such as MXNet, that scale out with near perfect efficiency. AWS Free Tier includes 750 hours of both Linux and Windows t2.micro instances each month for one year for new AWS customers. To stay within the Free Tier, use only t2.micro instances.